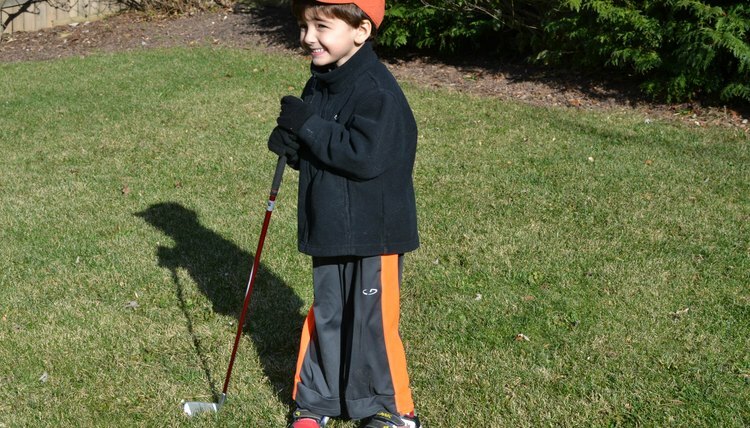 Golf can be a hard game to teach children. 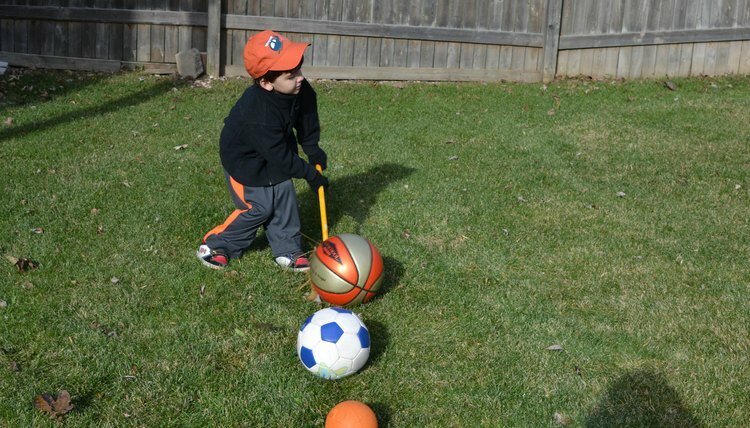 Small children can't get to a golf course on their own, and when parents take their kids to the course, finding the time and space to show your child the rudimentary skills required for the game can be troubling. But, you don't need to be at the course or even have a set of child's clubs in order to teach your child the basics of the game. 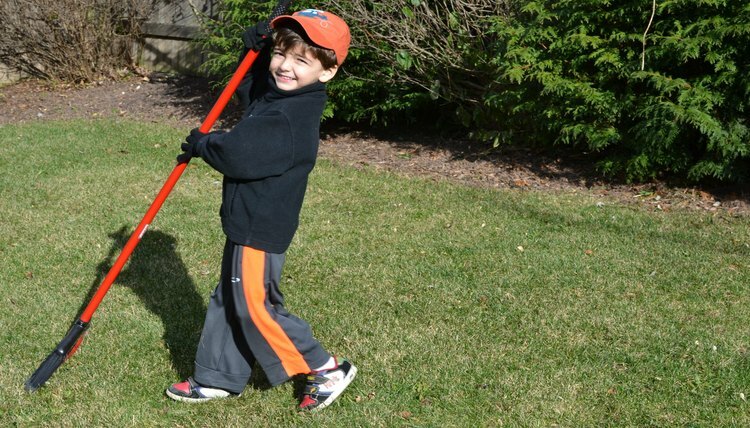 Any park or backyard and some common sporting goods will get them started. Give your child the broom. A broom-hockey broom would be best, if you have one. You should try to find a broom with a thinner head and a fairly stiff set of bristles. 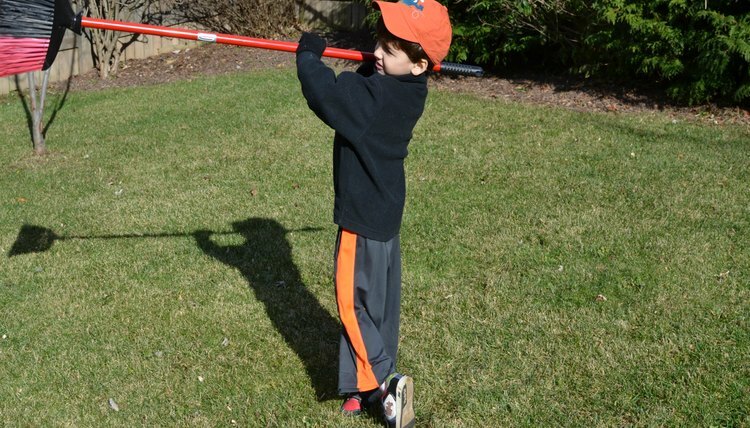 Show the child the basics of the golf swing, having them practice bringing the broom up above their head, through impact, into the follow-through. 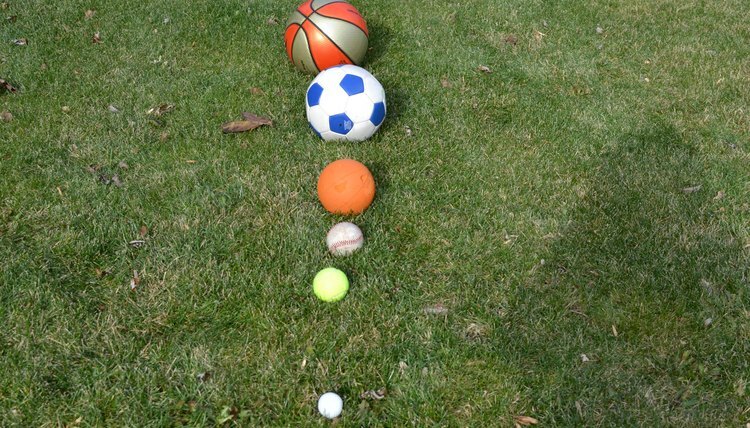 Line all of the balls up, from largest to smallest, allowing enough room between each ball for the child to be able to take a couple of steps between hits. 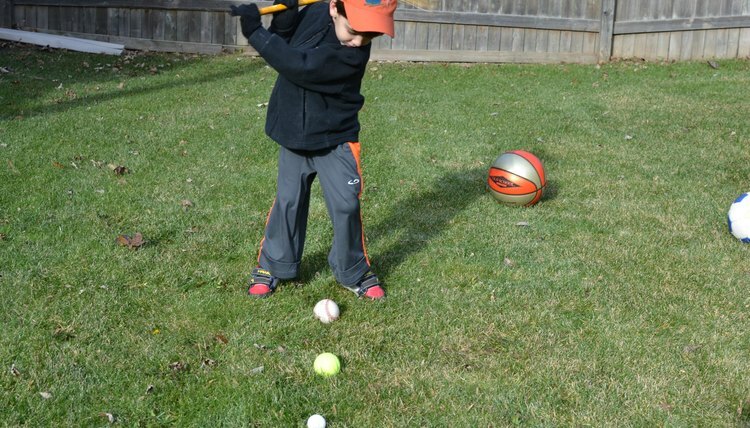 Allow the child to hit each ball, from largest to smallest, using a full swing, but without stopping between hits. Run the drill over and over, until they are making solid contact on all of the balls, right down to the smallest.